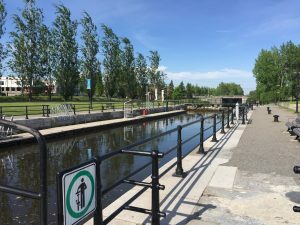 The Lachine Canal crosses the southwestern section of the island of Montreal, between Lake St. Louis and the Old Port. Opened in 1825, expanded twice in the 19th century, it played an important role in the industrial development of Canada and Montreal. In 1929, the canal was designated a National Historic Site of Canada. The observation post is located at the corner of Wellington and Église streets, in the heart of the Pointe-Saint-Charles district, and has historical links with the Irish community. the Grand Trunk Railway and the huge industrial workshops of Northern Electric and the Canadian National. 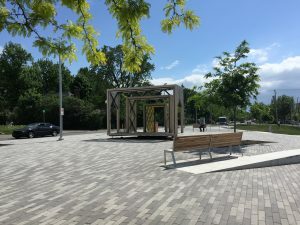 The new Rodolphe-Rousseau public space is located at the terminus of the Orange metro line in Ville Saint-Laurent. This location is associated with the mass transit system that marked the development of Montreal and to the communities in the north of the city, and which propelled their development during the second half of the 20th century. The Rodolphe-Rousseau Square is located near the Vanier and Saint-Laurent CEGEPs, as well as the cultural district of Ville Saint-Laurent. Saint Joseph’s Oratory is Canada’s largest church and the third largest oratory in the world. 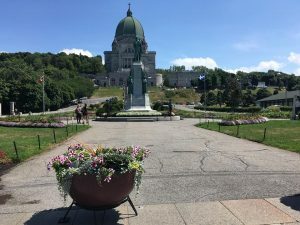 Recognized in 2001 as a National Historic Site of Canada, the Oratory is a major Catholic pilgrimage site that attracts two million visitors each year. This locale testifies to the importance of the Catholic Church in the development of the City of Montreal. Gérald-Godin Square honors the famous poet and politician Gérald Godin (1938-1994). 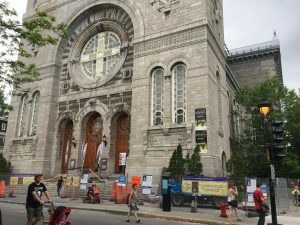 It is located at the exit of Mont-Royal metro station, in the heart of Plateau Mont-Royal, the nerve center of Montreal culture. 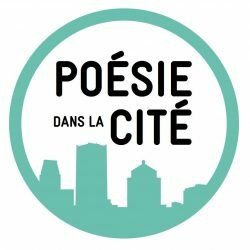 Hosting the Montreal Poetry Market every year, Gérald-Godin Square is also home to Gerald Godin’s poem “Tango de Montréal”, which is reproduced on the northern facing wall of a house overlooking the square. 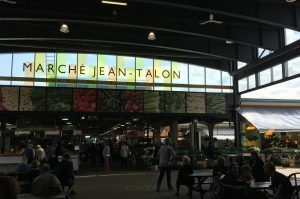 The Jean-Talon Market, located in a quadrilateral formed by the streets Henri-Julien, Casgrain, Jean-Talon and Mozart. The Jean-Talon Market is a public market located in the heart of Little Italy in Montreal. It is an important link to the community of Italians immigrants who transformed Montreal during the first half of the 20th century. Welcoming 2,5 million visitors a year, it is one of the largest open-air markets in North America. 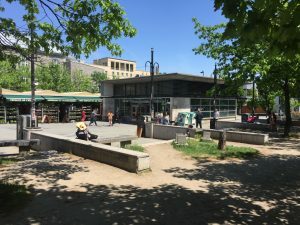 The market is also an important hub for the different cultural communities of the Rosemont, Villeray and Ahuntsic neighborhoods, which include, in addition to the Italian community, residents of Greek, Portuguese, Haitian and Maghrebi origins. Sault-au-Récollet is one of the oldest settled areas on the Island of Montreal and the first agglomeration to have developed along the Rivière des Prairies. The site includes the largest concentration of historic buildings in the north of Montreal. 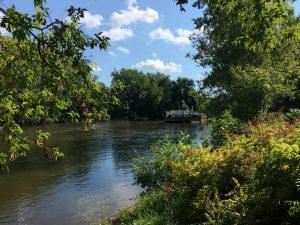 In addition, along the banks of the Rivière des Prairies, Île-de-la-Visitation Regional Park offers exceptional contact with the water and a view of the Rivière-des-Prairies dam, once an important electrical installation which contributed to the industrialization of the City. 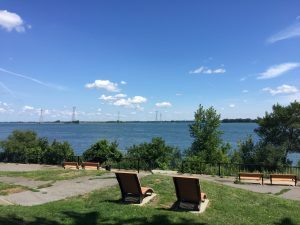 Village-de-la-Pointe-aux-Trembles is located near the St. Lawrence River. 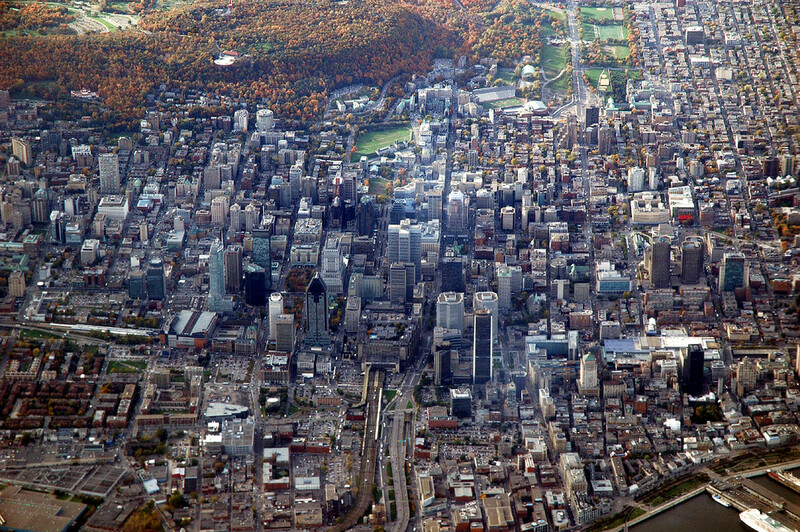 It was the second area settled on the Island of Montreal, after that of Ville-Marie. 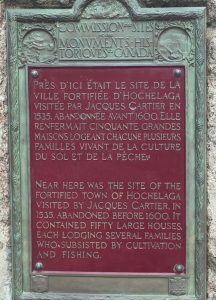 In the 16th century, Hochelaga was an Iroquois village located near Mount Royal. On October 3, 1535, Jacques Cartier visited the village. Although no archaeological record of this village has been found, a site on McGill University campus was designated in 1920 as a National Historic Site of Canada.